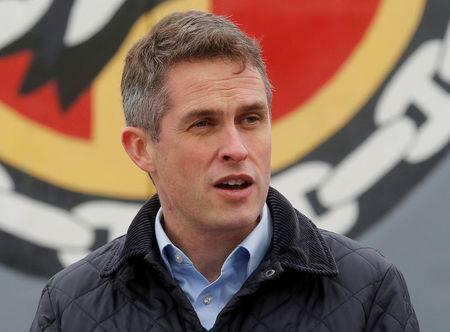 Williamson outlined plans to send Britain's new aircraft carrier to the Pacific, where London has been seeking to demonstrate its influence in relation to China, and invest his defense budget in new equipment and cyber capabilities. "Brexit has brought us to a great moment in our history. A moment when we must strengthen our global presence, enhance our lethality, and increase our mass," he said. "We will build new alliances, rekindle old ones and most importantly make it clear that we are the country that will act when required. We should be the nation that people can turn to when the world needs leadership," Williamson said. Williamson highlighted close U.S.-UK military links and echoed Trump's call for NATO countries to increase spending, citing a need to better confront Russia. Britain is one of only a handful of NATO countries who meet the alliance's target to spend 2 percent of output on defense. It was Washington's main battlefield ally in the wars in Iraq and Afghanistan, with more than 600 troops killed. Without citing specific examples, Williamson warned that the cost of non-interventions had often been "unacceptably high" and said that Western powers cannot ignore those in need.